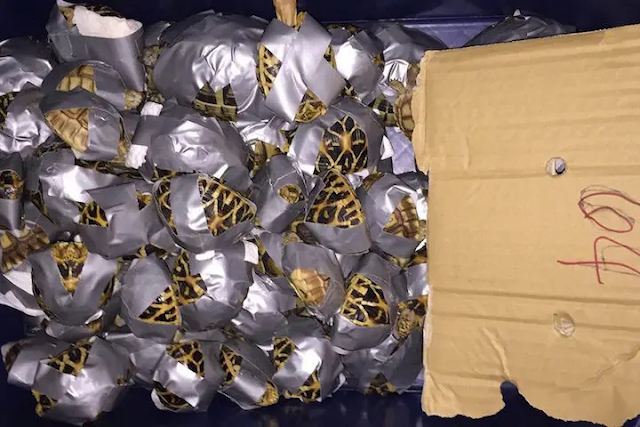 The Philippine Authority in the Ninoy Aquino International Airport (NAIA) discovered atleast 1,532 live exotic turtles in four abandoned luggage from HongKong. Sadly, all the turtles were wrapped in duct tape. 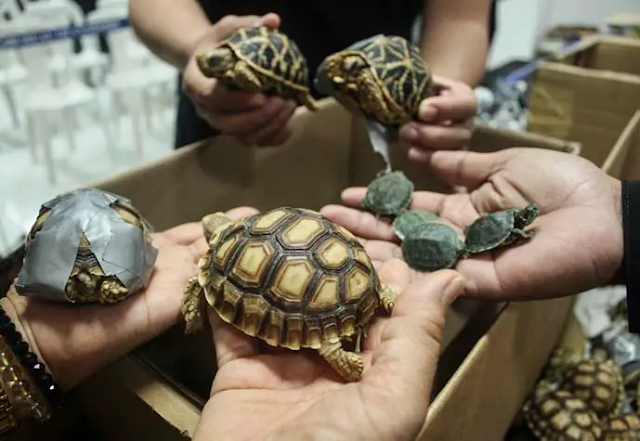 The environment department's wildlife trafficking unit estimates the total value of the turtles at P4.5 million, with individual turtles worth P400 to P20,000 each depending on their species. According to the report, the four pieces of luggage were allegedly left behind by a Filipino passenger who just arrived from Hong Kong. The Bureau believes that the passenger might have been informed of th vigilance of the port authority against illegal wildlife trade and its penalties - leaving the four luggage unclaimed in the arrival area. Under the RA 10863 or the Customs Modernization and Tariff Act and RA 9147 known as the Wildlife Resources Conservation and Protection Act, violators may face imprisonment of one year and one day to two years and a fine of P20,000 to P200,000. The confiscated turtles were turned over to the Department of Environment and Natural Resources - Wldlife Traffic Monitoring Unit (DENR-WTMU).